. . SUSTAINABLE DEVELOPMENT . .
VUZEKOFEST is an annual inter-university festival dedicated to promoting the concept of “green universities” and eco-friendly lifestyle. The festival began in 2015 as a student initiative at Moscos State University, and in three years it has grown into a large-scale educational project with hundreds of events at universities and an audience of about 20 thousand people . Are we seeing the dawn of a global youth movement? 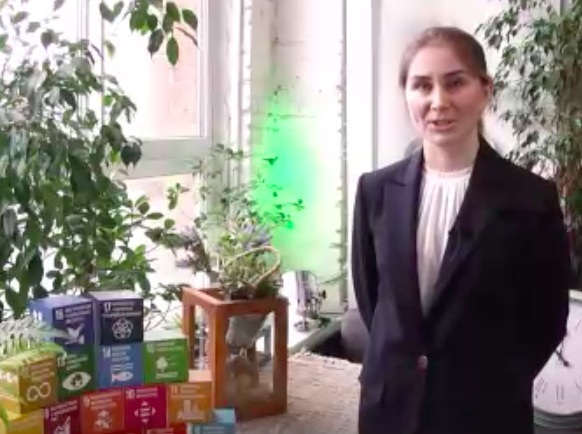 The need to adapt the Sustainable Development Goals for the successful implementation of national projects is the main theme of the fifth annual youth festival in the field of ecology and sustainable development, VuzEkoFest-2019, which will be held across the country from April 15 to 22 with the support of the Ministry of Natural Resources and Environment of the Russian Federation. Annually in April, universities in Moscow, St. Petersburg and other cities of Russia hold dozens of activities in order to introduce green infrastructure and promote an eco-friendly lifestyle. A series of round tables is planned at the participating universities, which will culminate in the key event “VUZEKOFest-2019”. This includes the round table “Adaptation of the Sustainable Development Goals and the implementation of national projects: the potential of universities” with the support of the Ministry of Natural Resources and Environment of the Russian Federation. The participation of government representatives, Russian and foreign companies interested in sustainable development, scientists, analysts and experts is expected. The goal of VUZEKOFEST is the formation of a community of young leaders and the spreading of an understanding of the concept of sustainable development, according to which the social, environmental and economic spheres should be developed in a balanced way. Somehow for years vested interests had managed to keep a split between the two most damaging effects of burning fossil fuels: climate change leading to disaster in particular to the poorest areas of the planet and the millions of deaths and illnesses caused by pollution, also being the less well off the most affected. Failing to see them together was a way to weaken the arguments against the radical change in the production of energy necessary for our survival. We had published in Pressenza (Failing to connect the fossil fuel dots of climate change and health ) a well researched paper from the Lancet referring to this combination, but the split remained both in the media and in most grassroots movements. This is no longer the case. Yesterday’s schools strike carried the complete message. 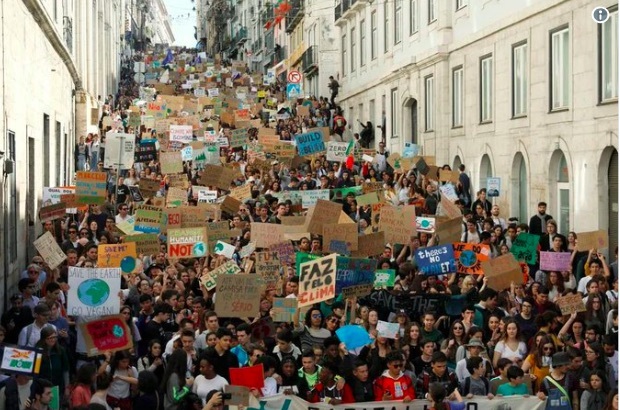 In the words of Greta Thunberg, “This movement had to happen, we didn’t have a choice. Last year’s UN Intergovernmental Panel on Climate Change’s special report on global warming could not have been clearer about the extreme dangers of going beyond 1.5C of global warming. To have any chance of avoiding that extreme danger emissions must drop rapidly – so that by the time we will be in our mid- and late-20s we are living in a transformed world. “The students who are striking in cities, towns and villages around the world are uniting behind the science. We are only asking that our leaders to do the same. “If those in power today don’t act, it will be our generation who will live through their failure. Those who are under 20 now could be around to see 2080, and face the prospect of a world that has warmed by up to 4C. The effects of such warming would be utterly devastating. Rivers would flood, storms would wreak havoc on coastal communities and coral reefs would be eliminated. Melting polar ice caps would lead to dramatically higher sea levels, flooding coastal areas. Places on Earth will become uninhabitable. “Scientists have also shown us that burning fossil fuels is “the world’s most significant threat to children’s health”. Nine out of every 10 children around the world are breathing dangerous air. Our lives are being compromised before we are born. Toxic particles from exhaust fumes pass through the lungs of pregnant women and accumulate in the placenta. The risk of premature birth, low birth weight and cognitive dysfunction this causes is a public health catastrophe. Pollution from diesel vehicles is stunting the growth of our lungs, leaving us damaged for life. Toxic air from burning fossil fuels is choking not only our lungs but our hopes and dreams. In fact The Guardian reports that “The number of early deaths caused by air pollution is double previous estimates, according to research, meaning toxic air is killing more people than tobacco smoking. “The scientists used new data to estimate that nearly 800,000 people die prematurely each year in Europe because of dirty air, and that each life is cut short by an average of more than two years. The health damage caused by air pollution in Europe is higher than the global average. Its dense population and poor air results in exposure that is among the highest in the world. In a world poisoned by cruelty and contradictions, the compassion and solidarity from the youngsters that reject this dehumanised system open the future for everyone, if we listen to them and choose to act now, not guided by the misinformation from the powerful but by listening carefully to the subtle call in the depths of our consciousness for compassion and coherence between our thoughts, feelings and actions. Then the violence will begin to retreat and our true human history will flourish. 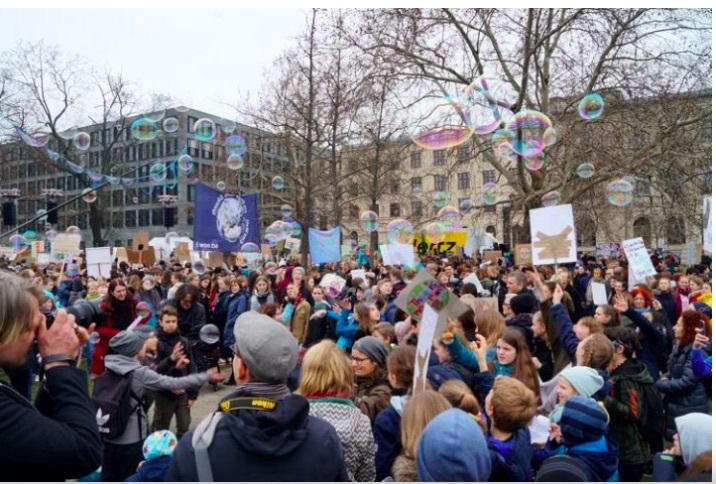 More than 25,000, mostly pupils and students, have gathered again in Berlin to give visible and audible expression to the climate strike “Fridays for the Future”. Most of the participants were not at my eye level, as they were not yet fully grown. That’s why most of the cardboard signs were right in front of me. Apart from the physical aspect, I felt like a dwarf with my generation in the face of the joy, determination and will of these children and young people taking responsibility and the future into their own hands. 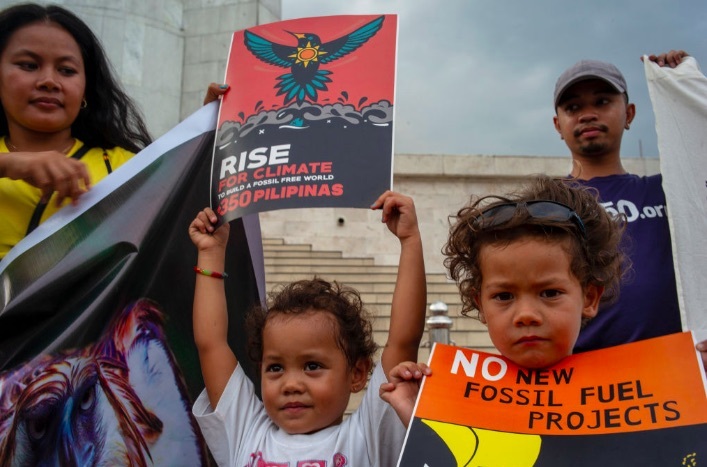 “We are the generation that can and must change the climate chaos,” said activist Luisa Neubauer, “because we are more global, connected and agile than the generation before us”. The initiator of the worldwide movement, the 16-year-old Swedish climate protection activist Greta Thunberg, also took part in the protest action in Berlin, where she gave a speech at the closing rally in front of the Brandenburg Gate. She then visited the Potsdam Institute for Climate Impact Research (PIK) together with Lisa Neubauer and met with scientists to discuss climate research, change and its consequences. On Saturday, Greta Thunberg received the Golden Camera Special Award, which she dedicated to those people who supported the Hambach Forest and that fossil fuels remain in the soil. At the gala, which was broadcast live on ZDF, 2ndnational broadcast television, Greta called on the stars and starlets present to use their great influence on so many people and to work for climate protection. 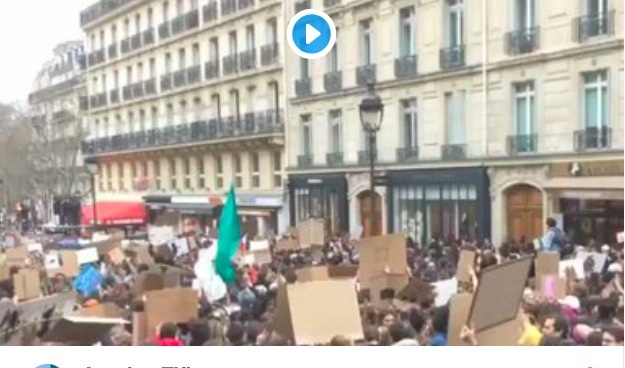 It is a strange world in which children have to sacrifice their education to protest against the destruction of their future, Thunberg said. And in which stars were not committed to environmental and climate protection because “they would no longer be able to fly around the world to visit their favouriterestaurants, beaches and yoga seminars”. “But nothing of what is said will be listened to. Nonetheless, events themselves […] will result in children rejecting the hypocrisy of their parents; and cause each person to reproach the contradiction that they generate in themselves and in those around them. Where the people who have contributed the least to this crisis are the ones who are going to be affected the most. Where politicians say it’s too expensive to save the world, while spending trillions of euros subsidizing fossil fuels. We live in a strange world where no one dares to look beyond our current political systems even though its clear that the answers we seek will not be found within the politics of today. Where some people seem to be more concerned about the presence in school of some children than the future of humankind. But here is the truth: we can’t do it without you in the audience here tonight. People see you celebrities as Gods. You influence billions of people. We need you. But it’s the world that my generation has been handed. It’s the only world we’ve got. We are now standing at a crossroads in history. We are failing but we have not yet failed. We can still fix this. 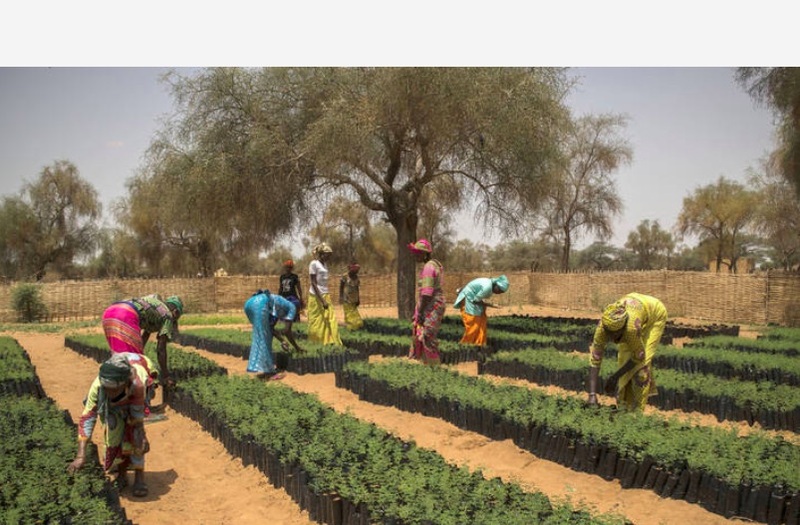 The UN Decade on Ecosystem Restoration, declared today [March 1] by the UN General Assembly, aims to massively scale up the restoration of degraded and destroyed ecosystems as a proven measure to fight the climate crisis and enhance food security, water supply and biodiversity. The degradation of land and marine ecosystems undermines the well-being of 3.2 billion people and costs about 10 per cent of the annual global gross product in loss of species and ecosystems services. Key ecosystems that deliver numerous services essential to food and agriculture, including supply of freshwater, protection against hazards and provision of habitat for species such as fish and pollinators, are declining rapidly. Restoration of 350 million hectares of degraded land between now and 2030 could generate USD 9 trillion in ecosystem services and take an additional 13-26 gigatons of greenhouse gases out of the atmosphere. Despite the vested interests of companies and governments, Can we make progress toward sustainable development? The Decade, a global call to action, will draw together political support, scientific research and financial muscle to massively scale up restoration from successful pilot initiatives to areas of millions of hectares. Research shows that more than two billion hectares of the world’s deforested and degraded landscapes offer potential for restoration. The Decade will accelerate existing global restoration goals, for example the Bonn Challenge, which aims to restore 350 million hectares of degraded ecosystems by 2030 – an area almost the size of India. Currently, 57 countries, subnational governments and private organizations have committed to bring over 170 million hectares under restoration. This endeavour builds on regional efforts such as the Initiative 20×20 in Latin America that aims to restore 20 million hectares of degraded land by 2020, and the AFR100 African Forest Landscape Restoration Initiative that aims to bring 100 million hectares of degraded land under restoration by 2030. Ecosystem restoration is defined as a process of reversing the degradation of ecosystems, such as landscapes, lakes and oceans to regain their ecological functionality; in other words, to improve the productivity and capacity of ecosystems to meet the needs of society. This can be done by allowing the natural regeneration of overexploited ecosystems, for example, or by planting trees and other plants. Ecosystem restoration is fundamental to achieving the Sustainable Development Goals, mainly those on climate change, poverty eradication, food security, water and biodiversity conservation. It is also a pillar of international environmental conventions, such as the Ramsar Convention on wetlands and the Rio Conventions on biodiversity, desertification and climate change. Currently, about 20 per cent of the planet’s vegetated surface shows declining trends in productivity with fertility losses linked to erosion, depletion and pollution in all parts of the world. By 2050 degradation and climate change could reduce crop yields by 10 per cent globally and by up to 50 per cent in certain regions. Greta Thunberg, the Swedish teenager who jump started the climate strike movement, has been nominated for the Nobel Peace Prize. 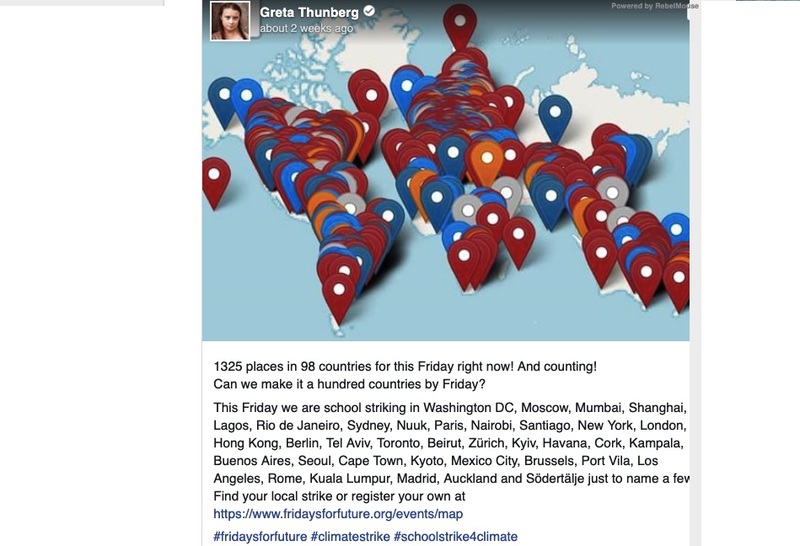 The news comes as Thunberg is helping to organize a massive global school strike March 15 that is expected to involve at least 1,659 towns or cities in 105 countries, The Guardian reported. Øvstegård was one of three members of members of Norway’s Socialist Left Party to nominate Thunberg, The Associated Press reported. Peace Prize nominations can come from anyone who meets the criteria, including national government officials, former winners and some academics. Nominations for the 2019 prize were due by February 1, and the winner will be announced in October and awarded in December. There are 301 nominations for the 2019 prize, including 223 individuals and 78 groups, according to the Nobel Prize website. 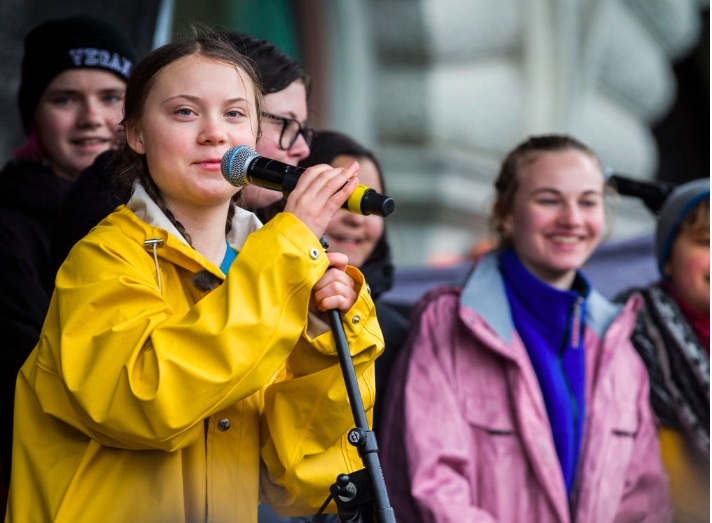 If Thunberg won, the 16-year-old would be the youngest winner ever and the second after 2007 co-winners former U.S. Vice President Al Gore and the Intergovernmental Panel on Climate Change to be honored for work on climate change, New Scientist reported. The current youngest winner is Malala Yousafzai, who was awarded the prize at age 17 in 2014. “Honoured and very grateful for this nomination,” Thunberg said in a tweet. Thunberg started a movement with a one-woman school strike in front of Swedish parliament last August. 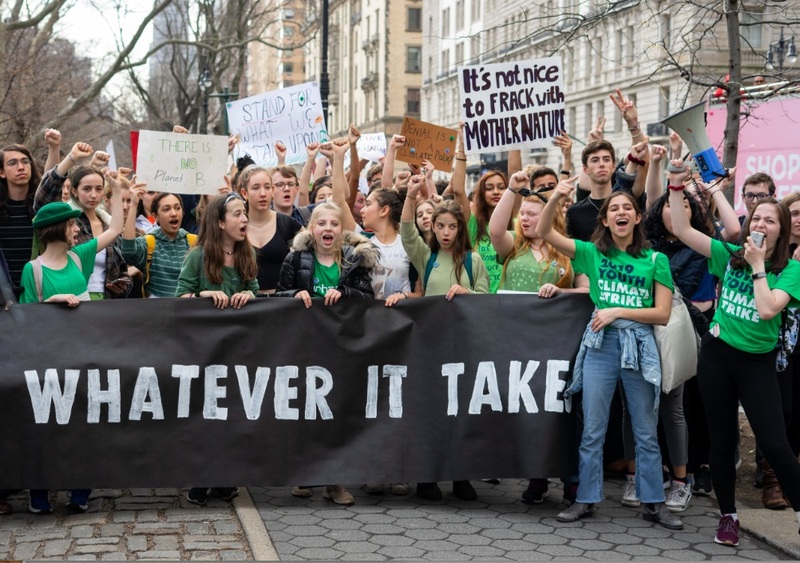 Thunberg had been part of a group inspired by the Parkland students’ movement against gun violence who wanted to do something similar around climate change. When the group could not agree on a plan, Thunberg was motivated by wildfires in Sweden’s Arctic region and a record northern European heat wave to go it alone, according to a recent profile in The Guardian. Her action inspired student strikes from Australia to Brussels, and earned her invitations to speak at the COP24 talks in Katowice, Poland in December 2018 and at Davos this year, where she excoriated world leaders for their lack of action. “Our civilization is being sacrificed for the opportunity of a very small number of people to continue making enormous amounts of money,” she said at the Poland conference, as USA Today reported. Thunberg told The Guardian that she suffered from depression when she was younger, partly because of climate change and the lack of action it seemed to inspire. It was talking to her parents about the issue and having them listen to her concerns seriously that helped her realize she could persuade others, too. “That’s when I kind of realised I could make a difference. And how I got out of that depression was that I thought: it is just a waste of time feeling this way because I can do so much good with my life. I am trying to do that still now,” she said. Friday’s upcoming strike is proof that Thunberg’s activism has had an impact. The Guardian said it was likely to be one of the largest environmental protests in world history. However, Thunberg is focused on her goal of actually seeing governments take adequate climate action, and will strike every Friday outside the Swedish parliament until her country’s policies match up with the Paris agreement. She told New Scientist that she was frustrated with some of the responses the strikes had generated. “They talk about our age, our looks and so on. The emissions are still rising and that is all that matters. Nothing has happened, that is crucial to remember,” she said. 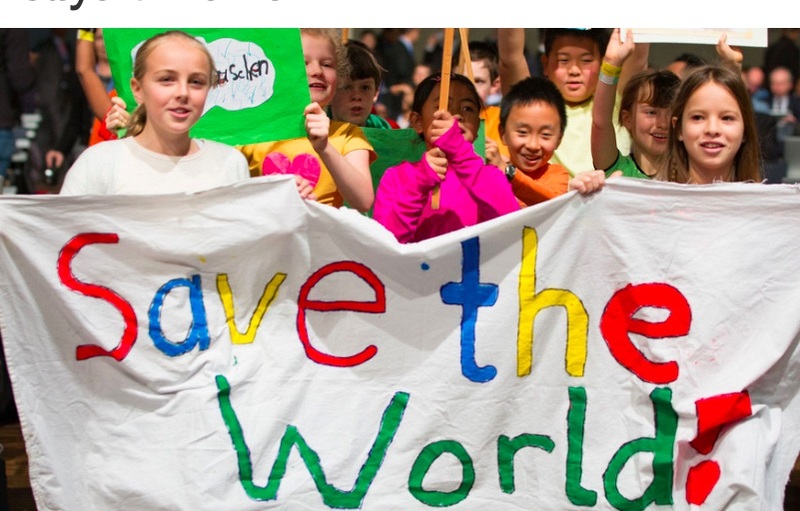 In the wake of Friday’s demonstrations by schoolchildren across the world against climate change inaction, the UN Secretary-General has said he understands their fears, but is hopeful for the future. Writing in an opinion piece for The Guardian, Mr. Guterres said that the more he witnessed the “commitment and activism” of young people who were fed up with the pace of the international response to global warming, “the more confident I am that we will win. Together, with your help and thanks to your efforts, we can and must beat this threat and create a cleaner, safer, greener world for everyone,” he added. Global emissions are reaching record levels, and continuing to rise, he said, adding that concentration of carbon dioxide in our atmosphere is the highest it has been in 3 million years. “The last four years were the four hottest on record, and winter temperatures in the Arctic have risen by 3°C since 1990,” he added, noting also rising sea levels, the death of coral reefs, and a growing threat to human health worldwide, as made clear in the UN’s Global Environmental Outlook, published this week. The historic 2015 Paris Agreement signed by more than 190 countries to keep global emissions well below 2°C, “itself is meaningless without ambitious action,” said the UN chief. I had a chance to go to the march and demonstration of school students in New York against climate change on Friday, March 15. There were a series of demonstrations ending up with a big enthusisastic crowd at the Museum of Natural History. The average age was under 20. I’d have to back to the 60’s, 70’s and 80’s to remember big demonstrations with majority youth. Are we seeing the dawn of a global youth movement? Stop the pollution; We have the solution! 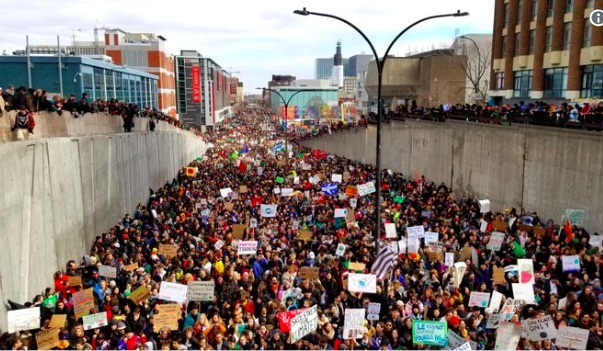 Show me what democracy looks like; This is what democracy looks like! Hey Hey Ho Ho, Fossil fuels have got to go! We speak for the trees; we speak for the trees! What do we need: a system change; When do we need it? NOW! I always wondered why somebody didn’t do something. Then I realized I was the somebody! Respect existence or expect resistance ! Break the climate silence ! 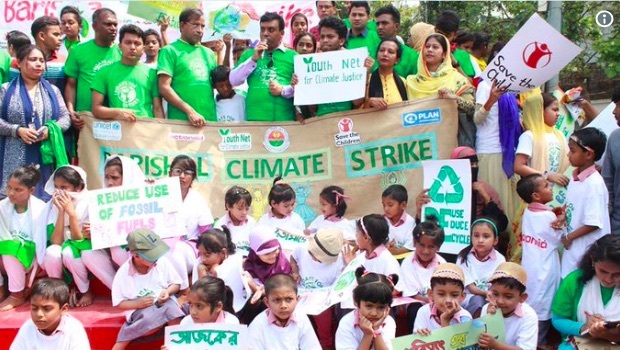 Youth strikes harder when climate change strikes ! Change is coming whether you like it or not ! Marching with these kids becuse I’m too scared to have children of my own. Spanish youth demand to achieve the 17 goals and goals of sustainable development of the UN by 2030. 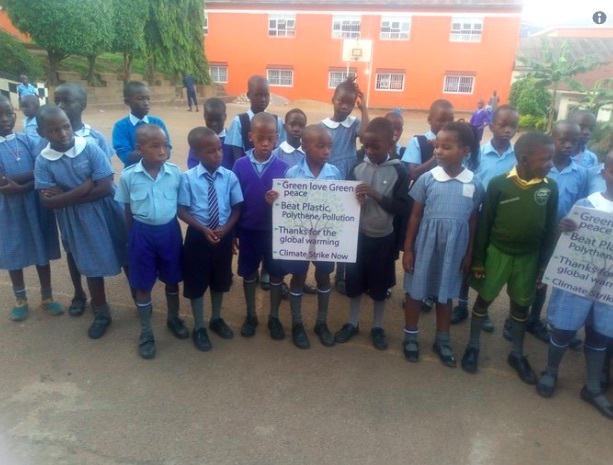 They have listened to the young Swede Greta Thunberg, who started the “Friday Strikes on Climate Change” last year and decided to join her. At the end of August 2018, this young activist stood every day for three weeks in front of the Swedish Parliament to demand that her Government comply with the Paris Agreement on climate. Greta was also present at the UN Climate Summit, COP24, which was held in the Polish city of Katowice from December 2 to 14, where she said loud and clear what she thought and how we should begin to act immediately to save the Earth and save the future of today’s youth. 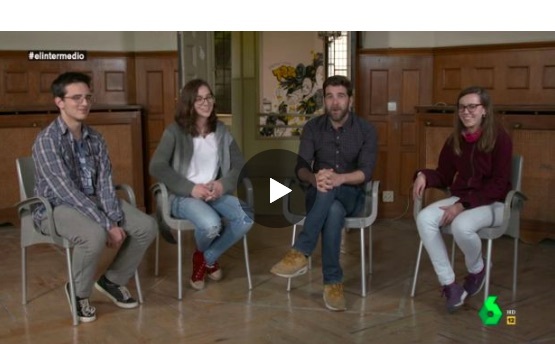 The collective “Youth for the climate” was formed in Spain by groups of young people who joined as a collective last February and who are organized in assemblies. Eight weeks ago these young people decided that they had to strik along with young people in Europe and around the world. 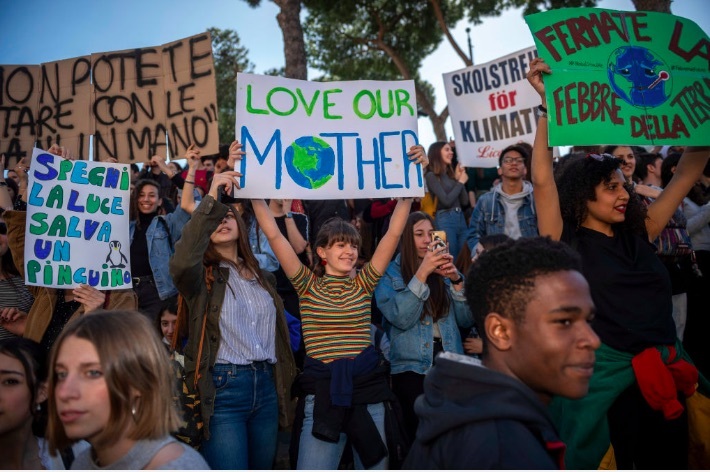 Today, Friday, March 15, young people from more than 1,000 cities around the world have joined the “Fridays for future” movement. In Spain, 45 mobilizations have been called, all of them with great success. 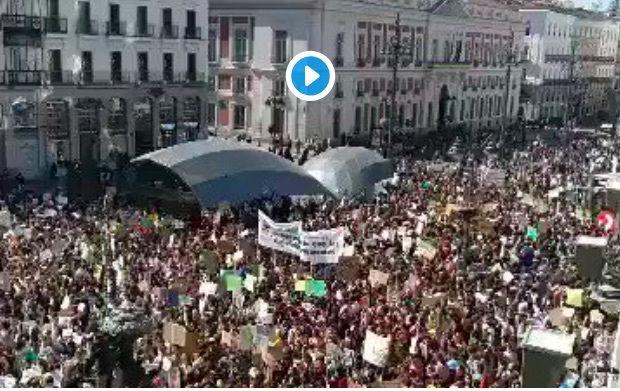 The young people of the world are denouncing the economic interests that lead people to “do nothing to stop climate change”, which means that they will not have a future. They accuse the adult generation, with all the reason in the world, of leaving them an inheritance of a land without a future, due to selfishness, to the comfort of not facing policies based on “constant growth” on a planet whose resources are finite, as Ecology Economics explains very well. The 15-year-old Greta, who gives speeches about the environment with implacable coherence, has become a symbol of adolescent activism and young people are listening to her. 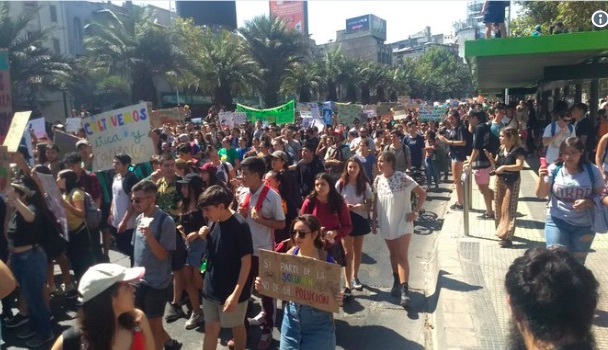 Today has been the largest strike of young people for the environment in the history of our country, and they warn that they will continue with strikes each Friday, if we adults do not behave as responsible beings carrying out the environmental measures demanded by the UN to be carried out by 2030. 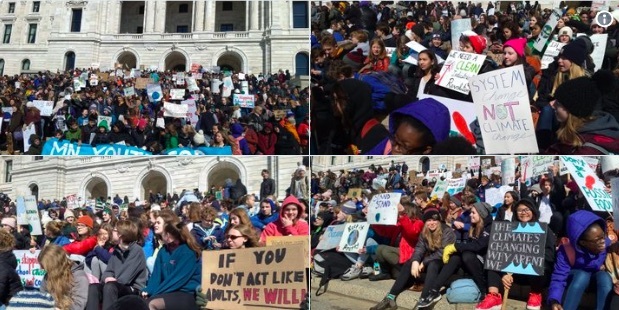 All over the planet on Friday, millions of children and young adults walked out of their classrooms in an unprecedented collective action to demand a radical and urgent shift in society’s energy and economic systems in order to avert the worst impacts of human-caused global warming and climate change. 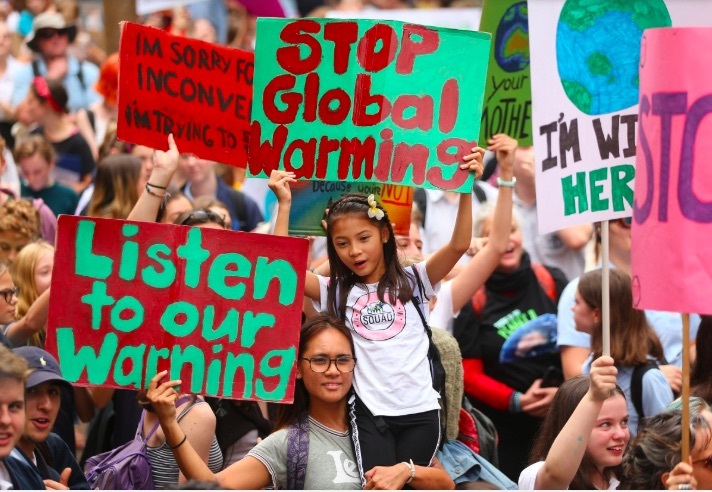 With demonstrations in more than 100 countries and tens of thousands of schools, the worldwide Climate Strike is the largest since 16-year-old Greta Thunberg sparked a wave of increasingly huge marches and walkouts with her one-person strike outside the Swedish Parliament last year. 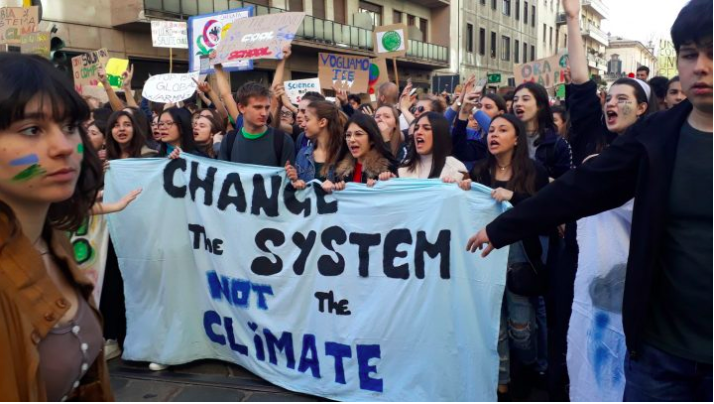 Since then, Thunberg has admonished and appealed to world leaders at COP24 and Davos, successfully securing a commitment from the European Union to fight the climate crisis while inspiring strikes all over the world. European students began holding weekly walkouts in Brussels in December, while Australian, and German young people are among those who have organized strikes as well. 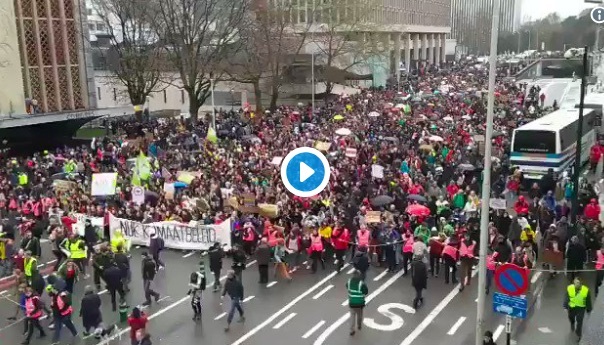 @MikeHudema LOOK AT THE SIZE OF THE MARCH IN BRUSSELS!!! Young people are rising in 2052 places in 123 countries on every continents. @350 In Kyiv, Ukraine, 100+ students appealed to Prime Minister Volodymyr Groisman and the govt to recognize climate change as one of the most pressing nationwide problems and to take appropriate action. 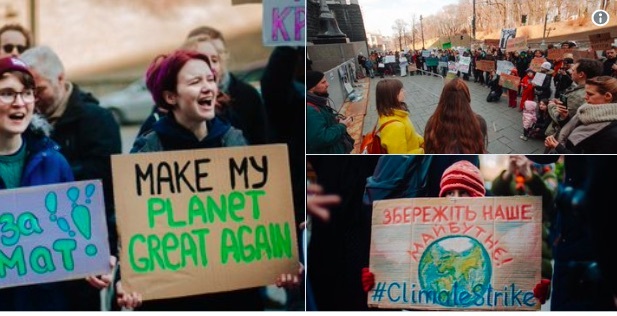 #Climatestrike took place in six cities in Ukraine. @MikeHudema HUGE! crowd out in #Barcelona as far as the eye can see. Young people are rising in 2052 places in 123 countries on every continents. 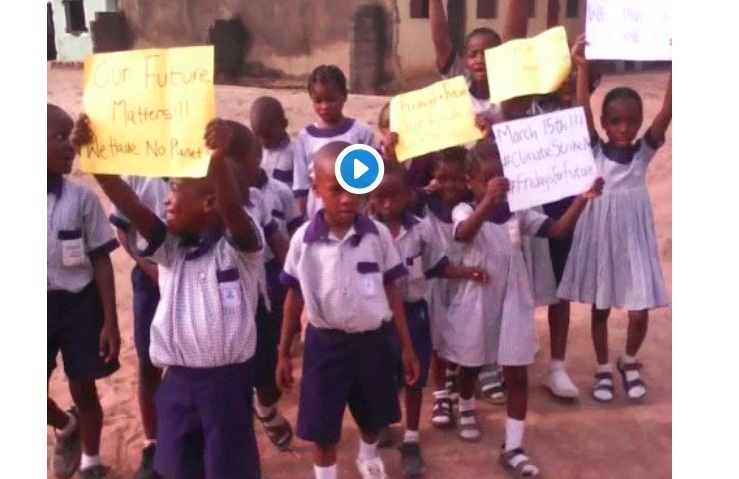 ”Our earth is on fire”#ClimateStrike#FridaysForFuture in Nigeria. Now is the time for us to actions. 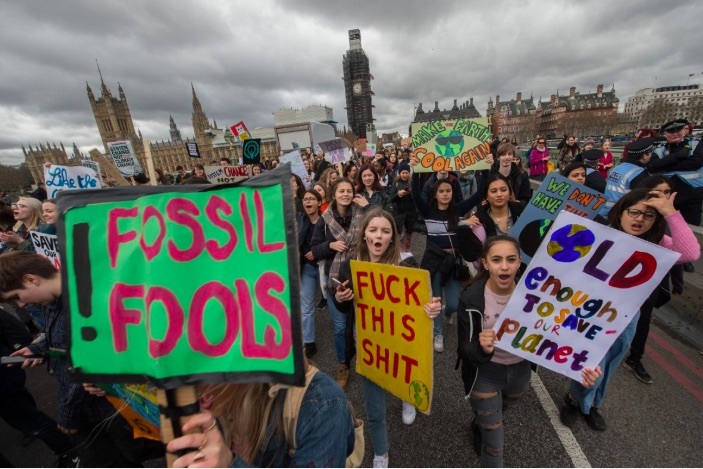 We, the youth of America, are striking because decades of inaction has left us with just 11 years to change the trajectory of the worst effects of climate change, according to the Oct 2018 UN IPCC Report. We are striking because our world leaders have yet to acknowledge, prioritize, or properly address our climate crisis. We are striking because marginalized communities across our nation —especially communities of color, disabled communities, and low- income communities— are already disproportionately impacted by climate change. 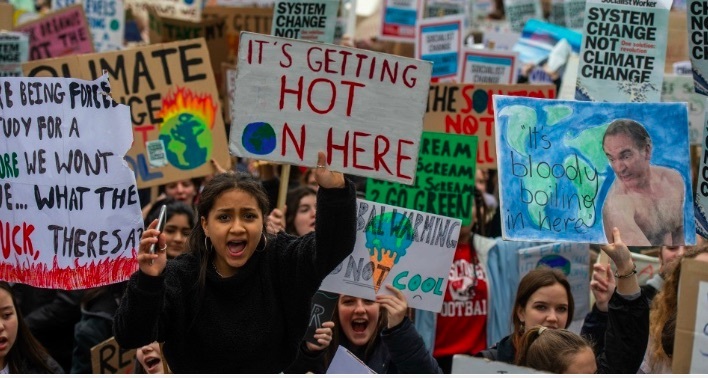 We are striking because if the social order is disrupted by our refusal to attend school, then the system is forced to face the climate crisis and enact change. With our futures at stake, we call for radical legislative action to combat climate change and its countless detrimental effects on the American people. We are striking for the Green New Deal, for a fair and just transition to a 100% renewable economy, and for ending the creation of additional fossil fuel infrastructure. Additionally, we believe the climate crisis should be declared a national emergency because we are running out of time.